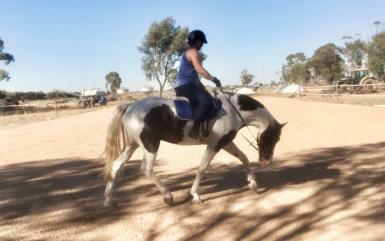 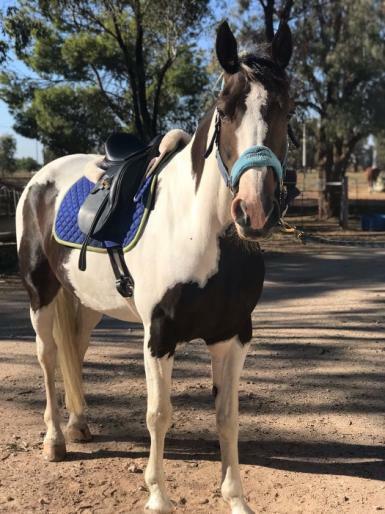 Karlan Park Gremlin - Cookie is a Pinto Friesian Warmblood Sport Horse gelding. 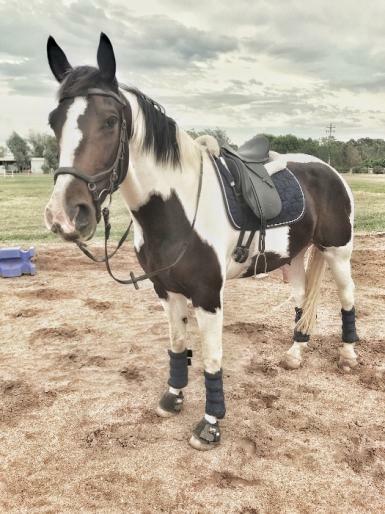 16.1hh - 8 years old. 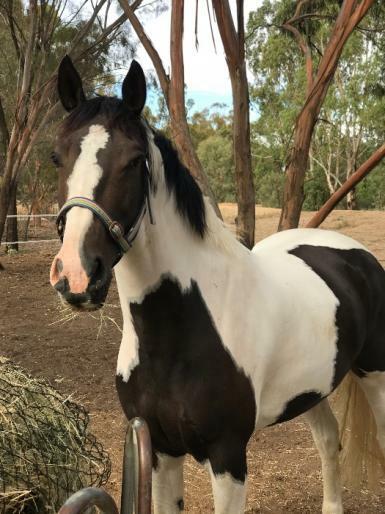 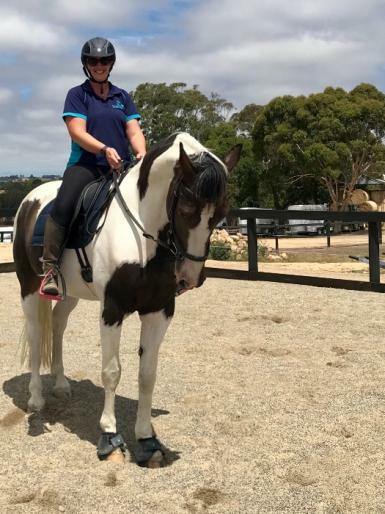 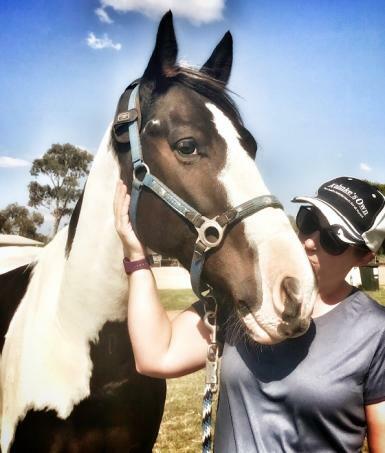 Lots of rego’s (Friesian Warmblood sport horse association of Australia, Pinto, EA) Cookie has BUCKET LOADS of potential and will go very far with the right rider. 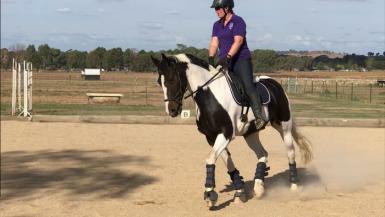 He was broken to harness as a 3 year old but continued to grow bigger than planned and hasn’t been in harness since becoming a ridden horse. As a youngster he did natural horsemanship and extensive trail riding and was brought on slowly and correctly. 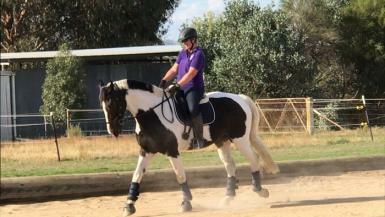 He has attended pony club and adult riding club rallies, clinics and competitions. 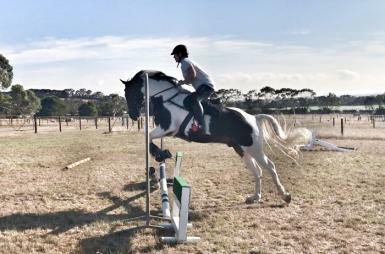 He also spent 2.5 months last year with 4* eventer Murray Lamperd where he SJ’d up to 1.20m effortlessly. 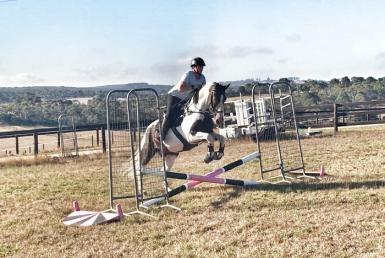 He can hump/excited canter stride after jumps but didn’t do this at all with Murray. 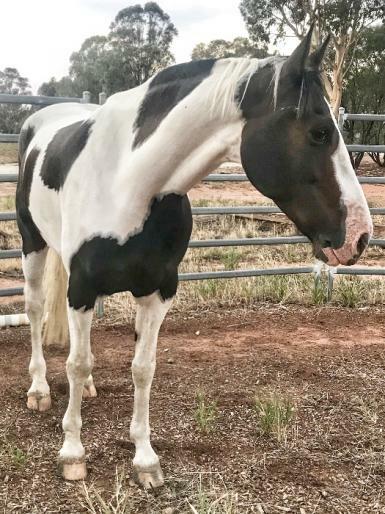 This is a very difficult sale, but I have come to the realisation that with 3 young kids, a busy farm and returning to work due to the drought, cookie is wasted with me. 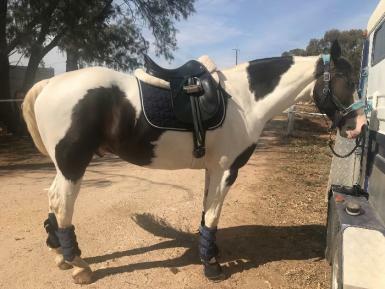 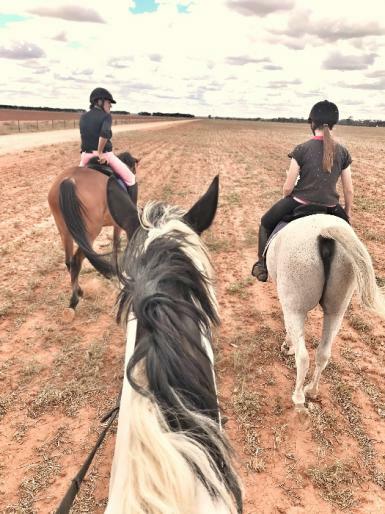 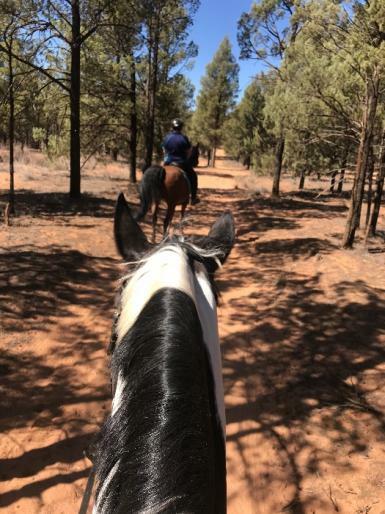 This horse will go far with the right rider, he is incredibly sharp and intelligent and a big horse and for these reasons he needs a confident and experienced rider with lots of ambition to take him up the ranks in their chosen discipline. 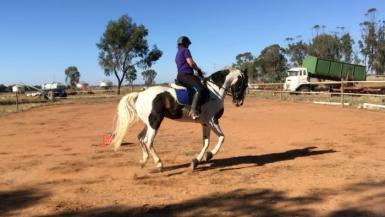 Currently in work and looking a million dollars.